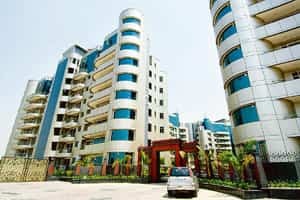 Mumbai: State-run home finance company, LIC Housing Finance Ltd, said it will launch its reverse mortgage scheme for senior citizens, or those in the 60-plus age bracket, as soon as the company firms up a tie-up with the apex mortgage regulator, the National Housing Bank, or NHB. NHB is tying up with insurance companies, including LIC, for restructuring of reverse mortgage. “We have the product but we were waiting for certain clarifications on tax issues and the insurance tie-up. The taxation issue has been cleared and once the insurance tie-up is done, we will launch the product," said R.R. Nair, finance director and chief executive, LIC Housing Finance. “We do not have any date fixed for launching as we do not know how much time this (insurance) tie-up will take." He said there was no upper limit in reverse mortgage as it was the percentage of property prices. The percentage depends on discounting and age of the owner (life-expectancy), amongst others, he said. Reverse mortgage would prove beneficial for those senior citizens whose children are settled abroad, he said. “For an NRI (non-resident Indian), spending a few lakhs (of rupees) on a property which can help his parents live in comfort and with which they could also generate income was not a big thing." “Now, more and more Indians are becoming world citizens and in the coming years or so, majority of the global workforce is going to become Indian. So, even if one wants to take care of his parents he can’t do it because of his location," Nair said. “The remittance from overseas would be one of his options for taking care of parents. To avoid this, he himself can buy a property in the name of the parents and arrange with a home finance company for a reverse mortgage," he said, adding this would help his parents obtain a regular income. While conceptually, reverse mortgage was very welcome, it had so far not picked up momentum in India because it is a new idea in the domestic market, Nair said. “Traditionally, Indians believe in passing on their legacy to the next generation. Besides, there were some taxation issues as well, which were cleared only recently." The taxation issue was resolved with P. Chidambaram, who was then the finance minister, declaring that “reverse mortgage would not amount to transfer and stream of revenue received by senior citizen would not be (treated as) income." “Precisely, reverse mortgage is a function of interest rates because there is a discounting principal involved in the income generation for that segment of people. If interest rate is low, the person will get a lower income," he said. “It (discounting) was not the real problem for the unpopularity of reverse mortgage," Nair added. “There has been another issue pending. Now the product is for a 20-year term. If it has to be life-long, then there has to be some kind of interest... the NHB is working on it," Nair said. The proposal is that the insurer takes care of the payment either from the inception of the scheme or beyond 20 years, he said. “The housing finance company has to pay consideration amount to the insurer and that will be annuity. It will be a guaranteed payment to the house owner," Nair said. Under the reverse mortgage scheme, if the property owner wants to exit from this arrangement, he can pay the amount back and get the property released. “The relatives or nominees of the owner can also pay up and get the property released," Nair said.